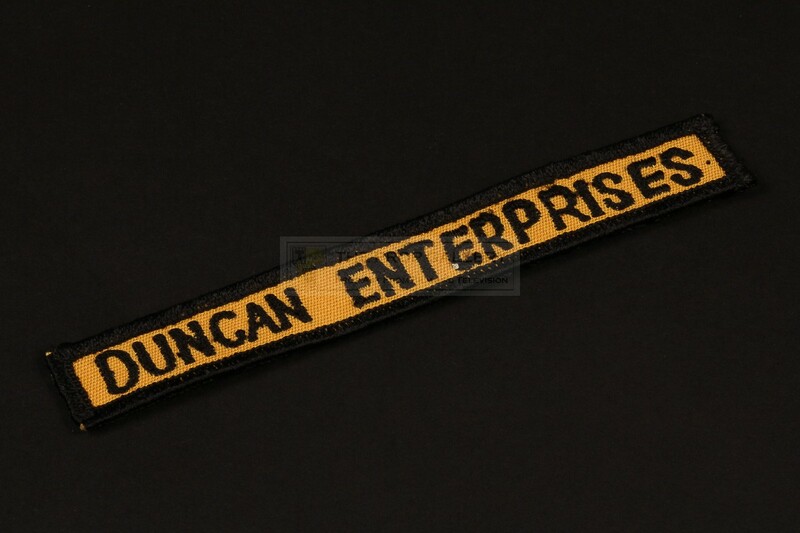 An original costume patch from the production of The Towering Inferno, the 1974 disaster picture starring an ensemble cast led by Paul Newman and Steve McQueen. 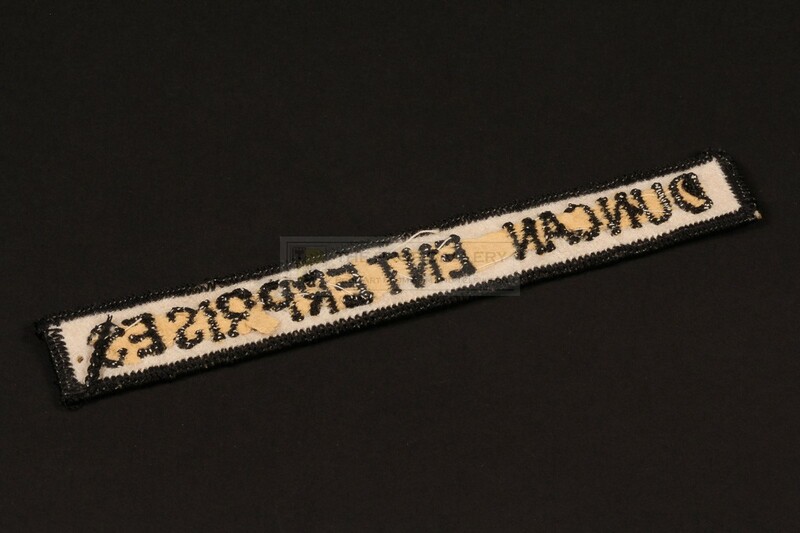 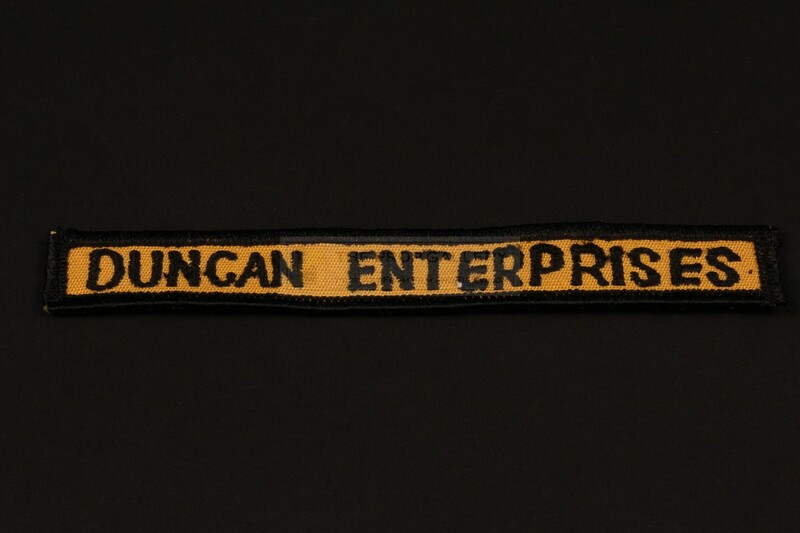 Patches such as this can be seen worn on the coats of the Duncan Enterprises employees, the yellow and black costume patch is embroidered 'DUNCAN ENTERPRISES' and measures approximately 5" long, it remains in excellent production made condition. 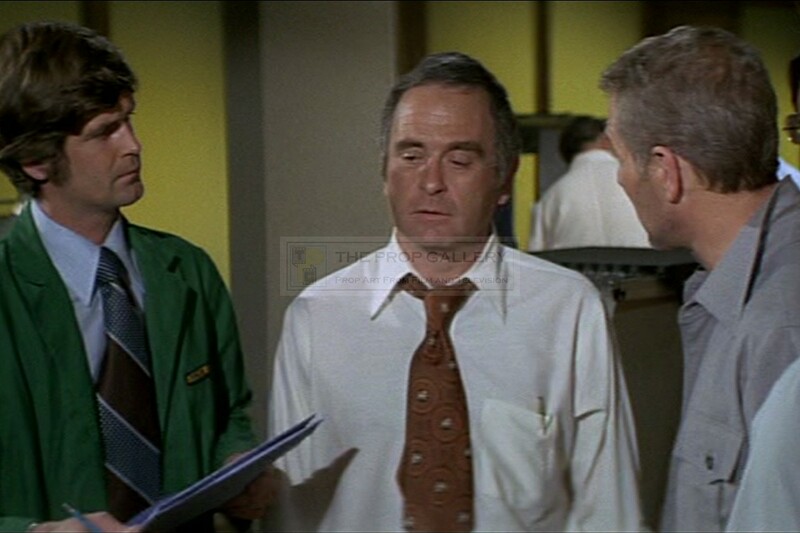 A displayable artefact from this Academy Award winning classic.